Blue and green accents add character to a neutral nursery. Mix and match pastels and brights! 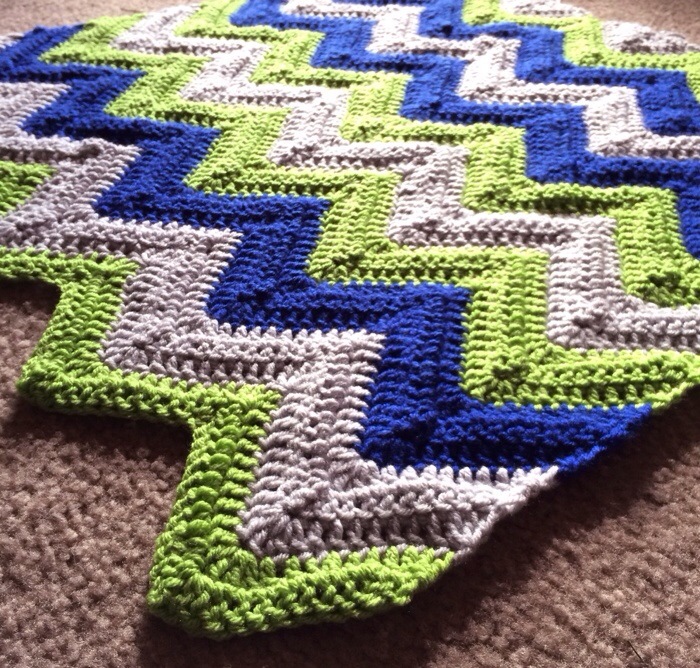 Materials: Hobby Lobby “I love this yarn” – My favorite acrylic! Started this piece while driving my husband to the airport, which really means he drove and I productively crocheted in the passenger seat! 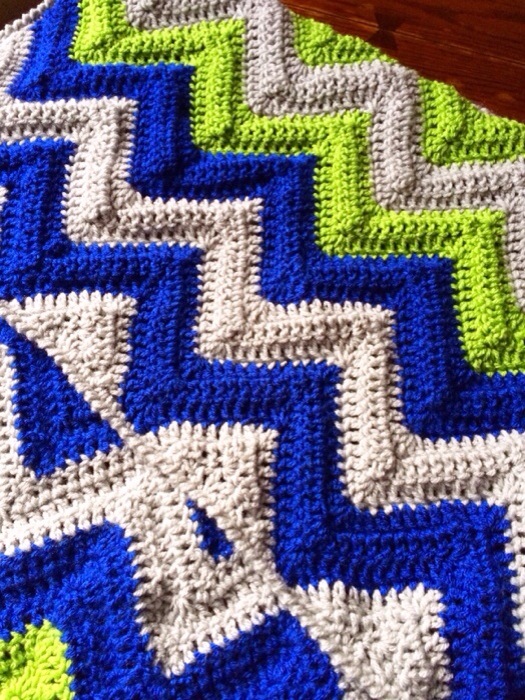 This modern piece is quickly becoming one of my most requested custom blankets. I can’t believe I’ve already made nearly twenty of them. 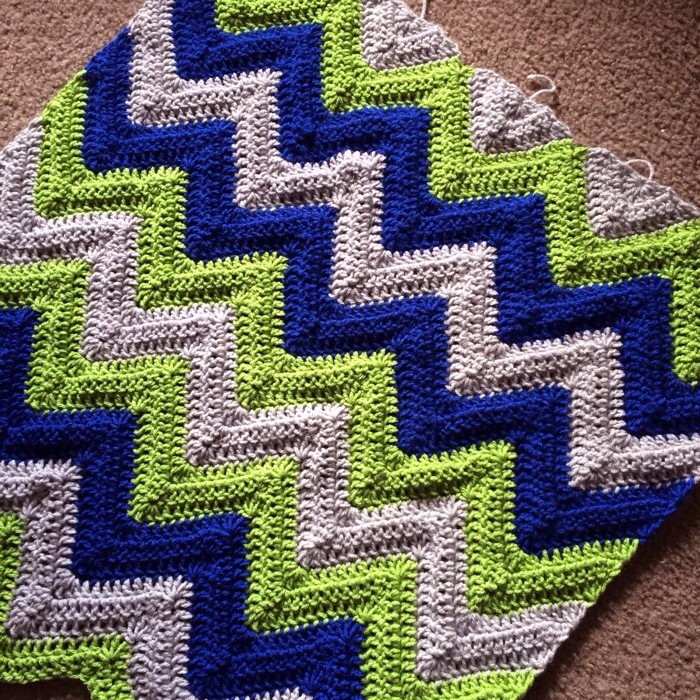 Since they are great as a baby blanket, my most common dimensions are 32×42″. In the finished shot below, I paired the current standard version of this blanket with the previously completed two-stranded version. I love how they made such different textures, yet the contemporary design is preserved. 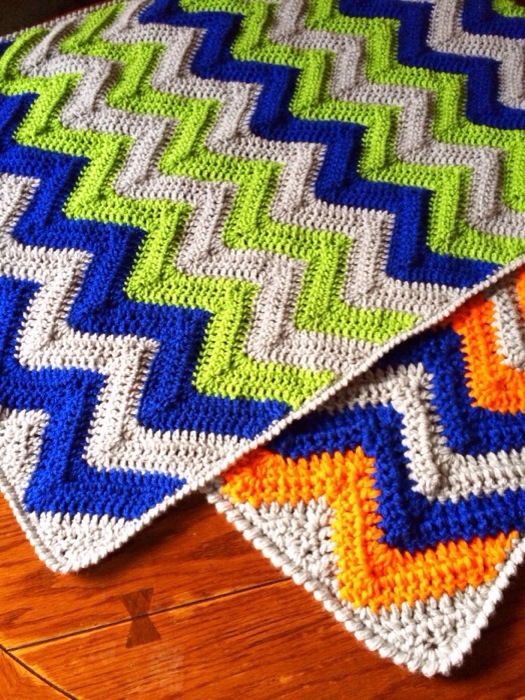 With a few adjustments to the original pattern, you can have a plush, squishy blanket. Read more about that in my article on Cypress Textiles! 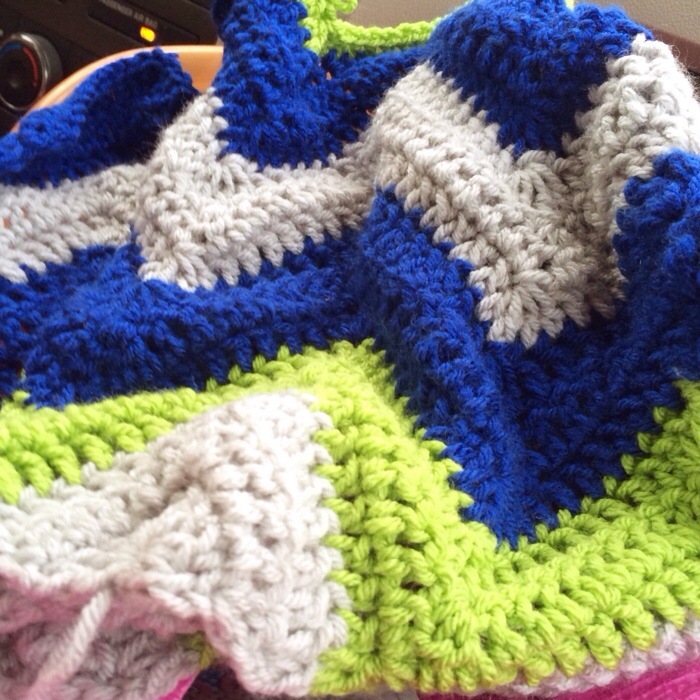 Posted in ChevronTagged Back and Forth, Blue, Crochet, Green, GreyBookmark the permalink.